Sasol Siyakha has become one of the most successful enterprise development funding models in South Africa, since its inception in 2007. Seventy percent of the businesses it supports are 100% black-owned. Sasol Siyakha began funding just two businesses; it currently supports 53 with a combined turnover of R900 million per annum and a total workforce of more than 4 200 employees. Its largest business has a turnover of R106 million per annum and has almost 300 employees. 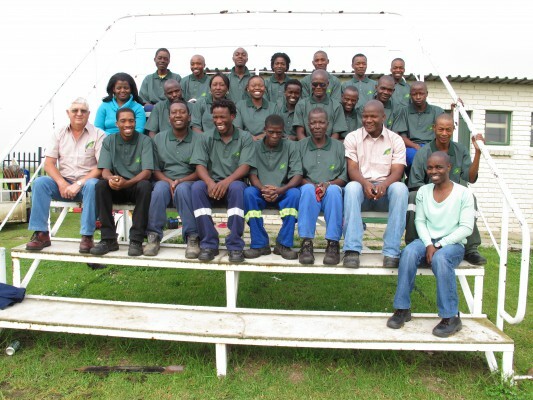 “The Siyakha Trust is fully committed to companies and continues to contribute positively toward local economic development and engage in social investment initiatives. Its development interventions are not only limited to financial support, but also to non-financial support such as training, business management, finance, legal skills and marketing plans,” said Daya Naidoo, business manager of Sasol Siyakha. “The strategic intent of Siyakha is to be the leading enterprise development funding entity in southern Africa,” he added. Financial support alone does not make a business or an enterprise successful. Sasol Siyakha provides a holistic support to growing businesses, such as the implementation of safety systems, safety training, the implementation of quality management systems, financial and payroll systems, various strategies, marketing, costing and estimating and human resource planning. “The development of the local economy, its people and entrepreneurs has been one of Sasol’s key objectives. Throughout the world, enterprise development is imperative to improving the economy,” said Naidoo. ZZ Construction and Projects CC, run by David Zwane and his wife Isabelle Dube, has become one of Sasol Siyakha’s biggest success stories. After moving from Mpumalanga to Secunda in 2006, the pair sought to enter the construction sector in Secunda. They realised, however, that the numerous regulations and rigorous requirements of the construction industry would be too high a hurdle for their small company. They then launched a small gardening service, which maintains Sasol’s residential and property portfolio. “Not only were there already a number of established service providers in the area with which we needed to compete, but we were also completely new in Secunda. We didn’t know anyone,” said Dube. In 2008, their company was awarded a five-year contract to provide gardening and related services to various properties owned by Sasol outside the plant - a contract worth R5 million. The business could not cope with the demand due to a lack of equipment, which later led to Sasol Siyakha’s involvement. In December 2008, Sasol Siyakha approved a loan of just over R348 000 for ZZ Construction and Projects CC, to buy essential equipment including a bakkie. 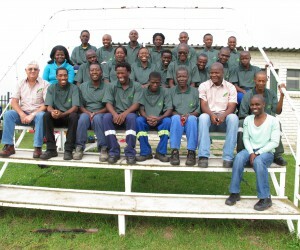 Sasol Siyakha also assisted with training, including safety management and financial reporting, to ensure the company could meet Sasol’s performance criteria. Currently, ZZ Construction and Projects CC employs 26 people and, in the last financial year, doubled its revenue. “Being an entrepreneur is scary and exciting. Growing your own business takes an exceptional amount of courage and patience. This journey has taught me and Isabelle to be receptive to learning. It has also shown us the value of being realistic and flexible, and believing in ourselves,” said Zwane.